Why are telephone skills so important? Here on Support, we speak with a large number of customers throughout the day with no face to face interaction. This is why it is important for us to deliver exceptional customer service through our other platforms, being mainly on the telephone. So, how can we achieve maximum satisfaction for our customers? 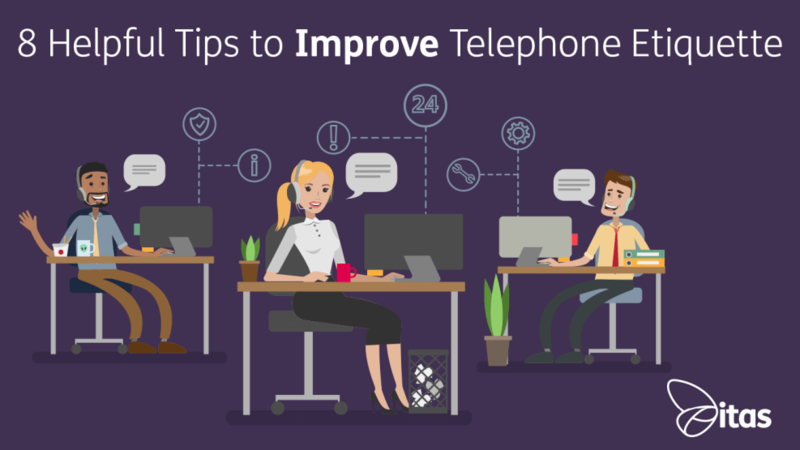 Although I agree receiving a good amount of training on the system is more than effective, customer engagement is also a priority; so here’s our Helpful Tips to Improve Telephone Etiquette! As mentioned above, I do think it is very important for our Support team to have a large amount of knowledge regarding the software we support. The more we know on the features and specifications of the product, the least effort is needed to solve the query. This results in establishing credibility, trust and leaves a positive impression in the customers mind. Giving the customer more confidence in us and our products. On Support we try to answer within 3 rings, meaning we have to be quick and efficient. Nothing says unprofessional like leaving a caller hanging on a ringing line. It might sound cheesy, but it works. Even if you are having a bad day, answering with a smile will also boost your own morale. When greeting a customer, you need to ensure this is audible and clear, you do not want to be too loud (I don’t think any of the Support colleagues would appreciate this either!). Your voice should be warm, friendly and professional when answering a call, and should be more than just ‘hello’. Here on Support we answer as follows ‘Good Morning/Afternoon, Sage Support, ?? speaking’ , you can always add ‘How can I help you?’. This creates a positive and enthusiastic start to the conversation ahead. The main thing to remember is to listen carefully and actively, paying special attention to what’s being said. The opening statement of the customer will usually tell you the main reason for their call. Giving them an immediate response, even if you do not know the answer will give them reassurance you have listened to them. Even if you had no idea what the caller has asked, remain positive ‘Let me find that out and come back to you’ is much better than ‘I don’t know’. You may need more information from them or may need to transfer their call. Make sure you inform the customer if they are to be transferred, and give them the name of whom you are transferring them to. If you need to place them on Hold, ask permission from them in a polite manner. When returning to the caller, make sure to thank them for their patience. 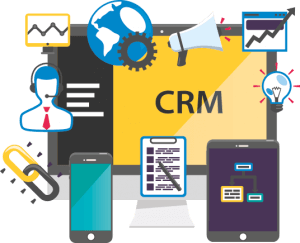 Here at itas, we use Sage CRM to log all calls we get into the office, this way all of the information is in one place. This is useful so customers don’t have to repeat any of the information already given if someone else was to take a follow up call. When asking for information ask in a subtle and simple way ensuring you both understand questions/answers given. You never want to rush a conversation with a customer, but it is important to remember the task at hand. We are all human and it may be easy to get distracted, the longer you are on a call, the less effective the rest of the team. When ending a phone call with a customer, you should always be clear that the customer is finished. You can always ask ‘Is there anything else I can help you with?’. Always remember to thank the customer for their call. Remember: Good telephone etiquette may not be that helpful if you do not have the right attitude to serve the customer! Though customer service over the phone can sometimes be tricky, taking on board all the comments I have mentioned above should help to ensure great customer service. 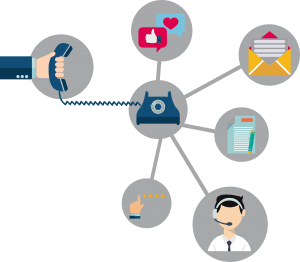 As more and more customers these days prefer over the phone service, it is important to deliver excellent customer service. What do you think? Are there any other ways we can improve our customer service? Have you found this information useful? Why not test our customer service and give us a call?